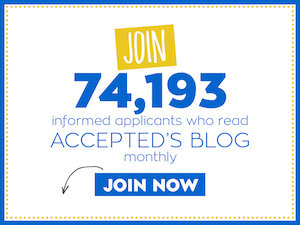 This interview is the latest in an Accepted.com blog series featuring interviews with MBA students, offering readers a behind-the-scenes look at top MBA programs. And now for a chat with Marta Szczerba, a student at Harvard Business School. Marta: I was born in Poland, but at the age of 15 I emigrated to the United Kingdom, where I have lived since then. I studied Philosophy, Politics and Economics at Oxford University. Marta: I’m a second-year student at Harvard Business School. Accepted: How does year 2 differ from year 1 so far? Marta: At HBS second year is very different to first year. Firstly, you no longer take the compulsory general management curriculum. Instead, you choose classes that you want to take, and these are usually led by professors who are world-class specialists in those subjects. For example, I’m taking a Strategy & Technology class with Professor David Yoffie who has been on the board of Intel for 20 years and has personally known Bill Gates and Steve Jobs. As a result of this class selection, I also feel the level of discussion is higher – people are more interested in the subject matter. Secondly, you no longer have classes with your ‘section’ (a group of ~90 people with whom you take every single first year class) – instead, your classmates rotate. As a result, although you get to know a broader range of people, you no longer have a sense of ‘family’ and you have to be more pro-active to meet and interact with classmates. All in all, I much prefer the second year – I like the flexibility of schedule and the deeper intellectual experience. Accepted: Is there anything you wish you would’ve known going into b-school that would’ve made your adjustment to school easier? Marta: Be clear what your objectives are. If you’re at all thinking about change of careers, make sure you apply for things early – many companies recruit on campus early in the year, while those that recruit later (e.g., start-ups, venture capital firms) will want evidence of interest in this area, so taking on projects or extra-curriculars that help to demonstrate interest in a new career will be helpful. Accepted: Where did you intern this past summer? What role did HBS play in helping you secure that position? Marta: I interned at Palo Alto-based Nokia Growth Partners, which is a late stage venture capital firm. I would have never been able to have the position without HBS: the opportunity was listed on Harvard Business School’s career hub website! As a UK national, it would also have been hard for me to gain that position without a US-based business school. Accepted: And have you begun your post-MBA job search yet? Any ideas where you’ll end up? Marta: Yes I have – we are actually now in the middle of the recruiting week! I have started applying both for more formal job opportunities listed via Career Hub website as well as using HBS/own networks for a search with my preferred companies. No idea where I will end up yet, though! Accepted: Can you tell us about some of the other projects you’re involved in? Marta: I think one of the advantages of business school is that you can focus on developing your interests via side projects and extra-curricular activities. In my first year, I wanted to continue working professionally so I set up a consulting firm, which focuses on advising companies and investment firms on different aspects of digital. My team and I have worked with a number of established firms – which has been exciting. In addition, I have been running a small stationery site www.cartalia.co.uk which I founded just before I went to business school – the site is run out of Poland and built using my links with the industry out there. Accepted: It’s not easy to get into Harvard – what are your top 3 admissions tips? 1. Make sure your references are ‘fabulous’ – it’s much better to ask someone lower down the organization for a detailed and stunning reference than the CEO of a company for something lukewarm. 2. If your GPA is average, make sure to put extra work into the GMAT to show the admissions committee that you have the academic chops to excel in the course. 3. When writing your essay, ask at least 2 people for feedback. One who knows you well, and will be able to tell if the essay reflects your personality and the second one who doesn’t know you that well, but can provide feedback on coherence and grammar. You can follow Marta’s story by checking out her blog at http://martaszczerba.com/. Thank you Marta for sharing your story with us – we wish you loads of luck!